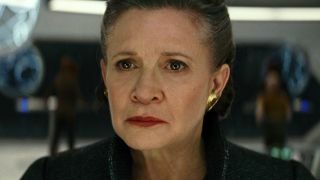 It’s an unfortunate elephant in the room, but knowing how Star Wars 9 is going to deal with General Leia Organa after Carrie Fisher’s passing remains high on everyone’s must-know list for the final movie in the trilogy. While we do already know that J.J. Abrams will be using unused footage from Star Wars: The Force Awakens, Oscar Isaac has hinted that Fisher’s role in the movie may be pretty understated – but we’ll get an answer for her absence. Whether that’s an off-screen death, or a quiet shuffling into the background – something that could definitely be attributed to Leia’s impromptu trip into the dark reaches of space in The Last Jedi – remains to be seen. Still, it’s great to hear that Carrie Fisher’s presence will be heavily felt, and she’ll have a considerable impact on a movie that was always meant to give her an emotional send-off anyway. While her role is still somewhat unclear, one thing is for certain: There won’t be a dry eye in the house. There's still a while until Star Wars 9, but fill in the time by keeping tabs on our upcoming movies list.